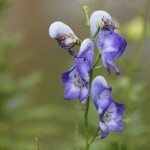 Why doesn’t my Monkshood bloom? I have been growing monkshood for a number of years in Medicine Hat, Alberta. My plants always produce buds LATE in the season, and usually we have killing frosts before they bloom. My mom and sister both say theirs will bloom in July/August, so I got rid of my plants and got some from my sister. Again, I have buds, but no blooms and it is the first weekend of October! What am I doing wrong? 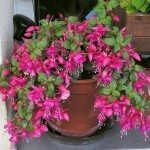 As a general rule, when plants grow well with lots of leaves and even buds, but no flowers, it is because there is too much nitrogen in the soil. In the future, don't use any extra fertilizer near these plants, and work bone meal into the soil to increase phosphorous. Also you can try putting them somewhere where they'll get more light.